For more than 50 years, SCCA Trans Am has pitted production-based race cars in one of motorsports’ most exciting and enduring road-racing series. One of the standout competitors today is Todd Napieralski, who drives this Camaro SS racecar in the Trans Am TA4 class. He drove it to a second-place finish at Road America last year, in its first outing. Part of Napieralski’s competitive edge with the Camaro comes from ZL1 1LE chassis and suspension components that enhance the car’s road-holding and handling capabilities. When built last year with the cooperation of Chevrolet Performance and Total Performance Racing, the ZL1 1LE components were mostly concept parts, but they have been incorporated in the production Camaro ZL1 1LE and many are available for purchase from Chevrolet Performance. That means any racer with a Gen Six Camaro SS can use them to build a more competitive racecar. 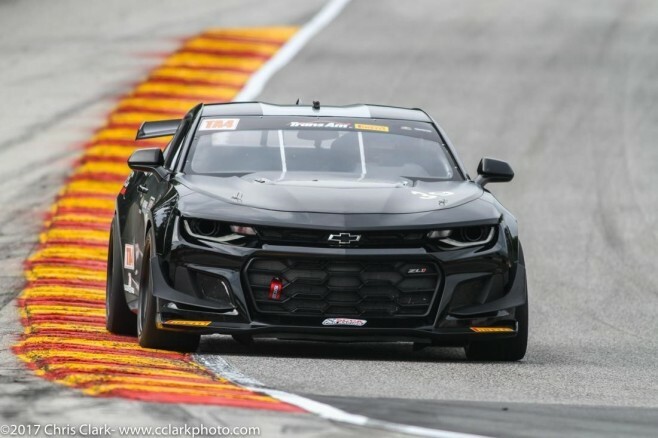 Check out which Camaro SS production parts and Chevy performance parts the T4A-Spec Race Car uses.